President Dmitry Medvedev has pledged support to engineering education, which he says is crucial for the country’s modernization. ­During a meeting with students of the Moscow Energy Institute, Technical, he said today Russia lacks technical specialists without whom it is impossible to implement any ideas. He added that he will sign a series of decrees aimed at promoting engineering professions. “Engineers are extremely important in terms of building new economy and overall modernization,” Medvedev outlined. He noted that today engineering professions are not as popular as they used to be 30 years ago. He recalled his youth saying that he was one of those rare students who opted for human studies. “Back then the majority of school leavers chose engineering professions. I sometimes even had to explain what they teach at law faculties,” he said. Since then the situation has reversed but he is determined to change it because the need for such specialists is as acute as never before. 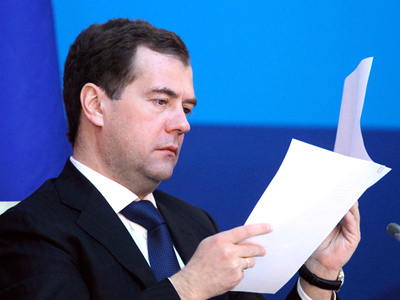 Dmitry Medvedev said that he is not going to put the issue on the back burner and that he will raise it during Wednesday’s meeting of the Committee for Modernization and Technological Development of Russia’s Economy. The president also stressed a need for improving the quality of technical education and revision of professions currently taught at universities. “I will bring up the issue tomorrow and will instruct [the committee] to revise the list of professions in accordance with the real needs of the economy,” he promised. He also talked about improving the practical training of technical students and their integration into the industry. For this, a better link between educational institutions and enterprises is needed. 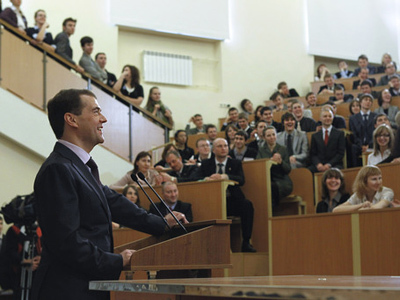 Medvedev said that the system of internships, which is now underdeveloped, should be a major part of the educational process. “This system is optimal. The best is to give students an opportunity… to work at an enterprise and get paid for it, at the same time receiving profound professional training,” he said. When it comes to introducing new equipment in industries, it is often the case that foreign specialists come to Russia to put it into operation. 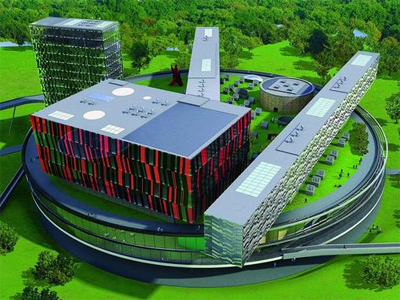 “It is better to send our students abroad for a couple of months,” Medvedev advised. This, in his opinion would be a more cost-efficient approach. Among other things, he suggested military draft determent for those finishing secondary technical schools and willing to proceed to higher education. Medvedev also spoke about the need to support young specialists in terms of social benefits. And affordable housing is one of the most important among them. 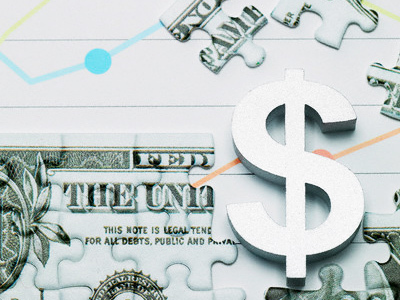 “Each enterprise should have a program for support of young professionals,” he outlined, adding that some professions will get additional subsidies from the state.